Community members celebrate the opening of Ankeny Miracle Park during a ribbon-cutting ceremony. 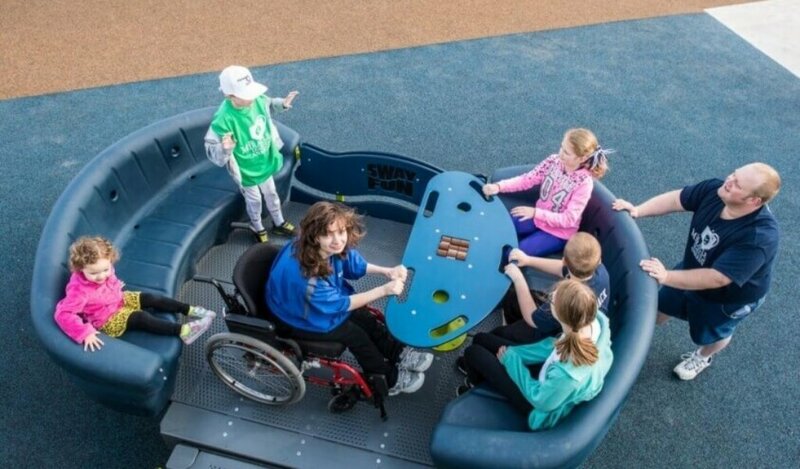 ADA compliant equipment supports all-inclusive play. An athlete awaits a pitch on opening day. Snyder & Associates' staff volunteer to assist with playground installation. A young boy enjoys opening day at Ankeny Miracle Park. 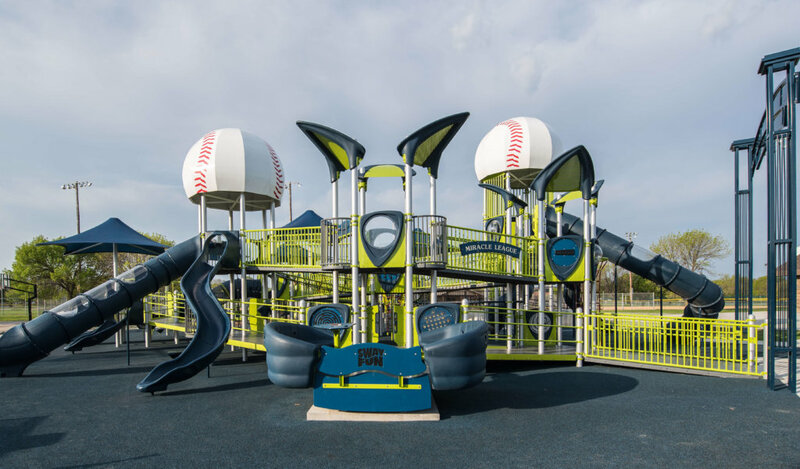 From 2012 through 2015, Snyder & Associates collaborated with the City of Ankeny Parks & Recreation Department, the Ankeny Kiwanis Club, FEH Design, and others to develop and implement plans for the Ankeny Miracle Field and All-Inclusive Playground. With more than 5,000 special needs children in central Iowa and over 800 in Ankeny alone, many children were underserved from a recreational facility standpoint. Fall 2012 – Construction began. 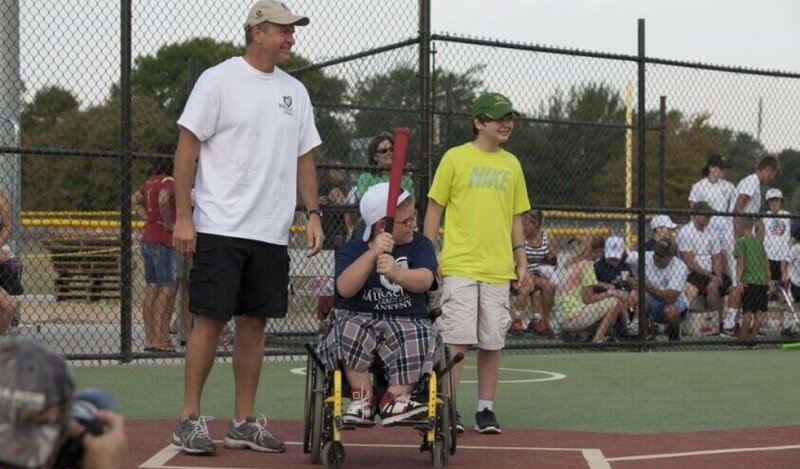 Fall 2013 – Miracle League Field was completed and opened on September 7 for the first Ankeny Kiwanis Miracle League season. Fall 2014 – The first phase of the playground designed for use by children ages five to 12 opened to the public along with the restroom and concession facility. Spring 2015 – The final two phases, a section designed for children ages two to five, and stand-alone equipment, were finished and opened to the public. Hailed as a safe and exciting play space for children of all ages and abilities, the park is a welcome asset to the community. 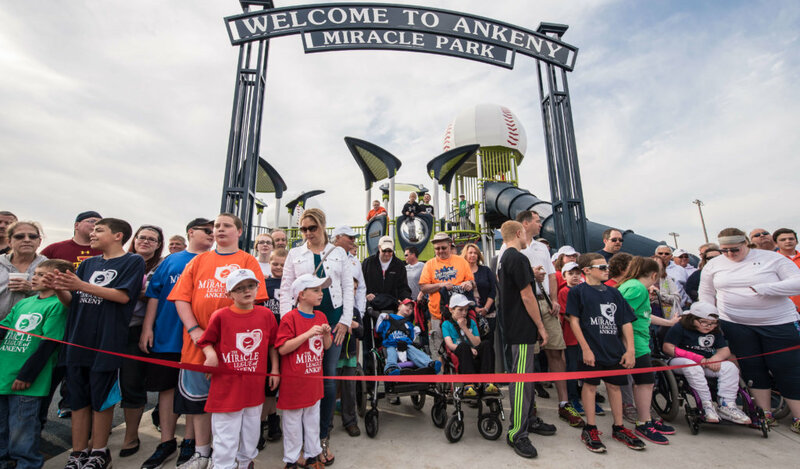 The Ankeny Miracle League Field is the second of its kind in Iowa and the first to offer a co-located all-inclusive playground. An athlete heads to first base during a baseball game at Ankeny Miracle League Park. Noteworthy aspects of the park include a custom-designed, rubberized turf field that provides a flat, cushioned surface free of obstacles, a shelter with a concession stand, and a sensory rich, two-story playground. Through the use of an extensive ramp system, individuals with mobility devices can access both stories of the equipment and enjoy unique views of the surrounding area. With over 14,000 square feet of play space, it’s the largest playground in Ankeny. While the park is open to the general public, it’s also utilized for Miracle League events and by the adjacent Terrace Elementary School for outdoor recess activities. Since fundraising began in 2012, more than 600 businesses and individuals have donated to bring the $1.7 million project to fruition. With a dedication to foster more opportunities for Iowa’s underserved population, Snyder & Associates donated professional services to prepare design and construction documents for the project. 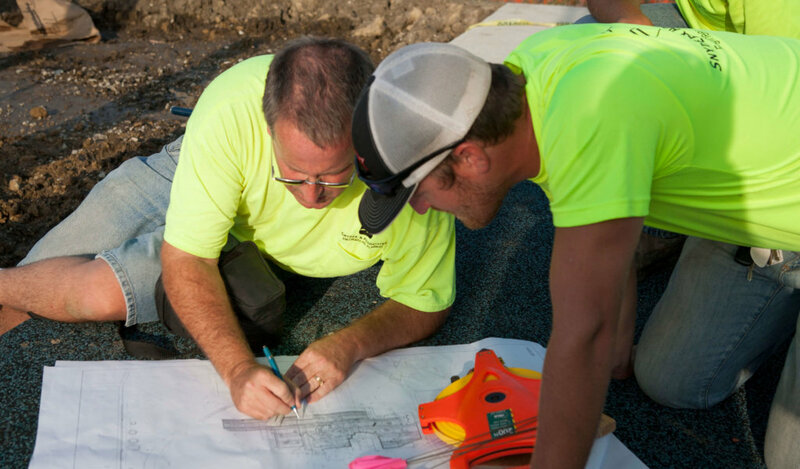 The services provided included ADA compliance review and analysis, gravity sewer design and operation, master planning, park planning and design, sports field design, topographic survey, easements, and 3D modeling and promotional materials. Recognized by Landscape Structures as one of their most inspirational playgrounds, the Ankeny Miracle League Park has become a popular playground destination for families across Iowa. 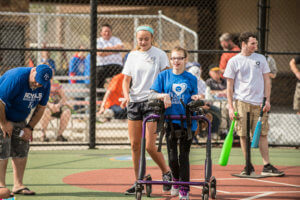 On the heels of its success and as part of a growing recreational trend, Urbandale, Ames, and other Midwest communities are also home to Miracle League facilities.